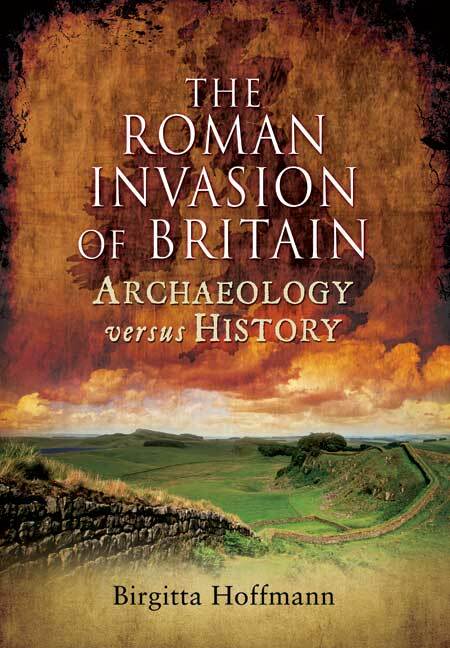 You'll be £4.99 closer to your next £10.00 credit when you purchase The Roman Invasion of Britain. What's this? The purpose of this book is to take what we think we know about the Roman Conquest of Britain from historical sources, and compare it with the archaeological evidence, which is often contradictory. Archaeologists and historians all too often work in complete isolation from each other and this book hopes to show the dangers of neglecting either form of evidence. In the process it challenges much received wisdom about the history of Roman Britain. Birgitta Hoffmann tackles the subject by taking a number of major events or episodes (such as Caesar's incursions, Claudius' invasion, Boudicca's revolt), presenting the accepted narrative as derived from historical sources, and then presenting the archaeological evidence for the same. The result of this innovative approach is a book full of surprising and controversial conclusions that will appeal to the general reader as well as those studying or teaching courses on ancient history or archaeology. The detailed discussion of the Boudiccan revolt, paying close attention to the archaeological evidence, is a particular strong point, as is H.'s authoritative assessment of the strategy Rome employed in the Flavian and Antonine eras to control the south-east of modern Scotland based in part on her own important fieldwork. Overall, this book by one of the leading experts on Roman Britain is full of interesting observations and much to be recommended. An extremely interesting read, and serves as a good overview of the fascinating history of Roman Britain. Such a study as this is a welcome addition, and will prove useful to those interested in all aspects of Roman history, not just the enthusiast of Rome. The book is well written and ultimately succeeds in engaging both the academic and popular reader. Overall, a fascinating read that I highly recommend, and indispensable to anyone interested in Roman Britain. This book examines pivotal moments in the course of Roman Britain, largely focusing on Caesar's invasions and then the conquest of 43 AD culminating in Boudica's revolt, but it also looks at the rise of Severus, the decline of Roman rule, and the altogether obscure matter of what happened in between these events. It is notoriously difficult to form a satisfactory picture from the written evidence, as they are often secondary sources written years after the event, and even primary sources such as Caesar have clearly twisted the truth in a shameless display of political spin. It is curious how this unsatisfactory picture of events is still repeated verbatim to this day, and so books such as this one remain of great importance as they are concerned with established facts and not the semi-fiction which has been handed down to us. Birgitta Hoffmann contrasts this accepted history with the archeological evidence and reveals a number of quite different and altogether murkier possibilities. It is not the final truth of course, but it certainly edges us closer towards it. In this fascinating book, Birgitta Hoffman creates a coherent narrative of Roman Britain. Fellow Birgitta Hoffmann has taken on the challenge of comparing the written record for key moments in Romano-British history. The exercise is fascinating, and Brigitta does full justice to the complexity of the issues, mainly by setting out for the reader what other people have made of written and archaeological record in the past. The book thus forms a valuable summary of the historiography of Roman Britain, and is the result of very extensive reading. Birgitta Hoffman sets out to mesh the archaeology with the historical sources to give a fuller picture of Roman Britain. It's a learned text, but digestible enough for the enthusiastic amateur historian. popular belief that this provides a full historical account of people, places and events from the period, and that the integrity of the information is high. That is always a mistake when the individuals recording history may have done so at some distance in miles and time from the events they recorded. There was also a frequent distortion of the accounts because the writers were either attempting to paint themselves favourably or hoping to gain favour with a patron. This new book contrasts archaeology with history and comes to some contentious conclusions, but with the probability of proof in favour of archaeology. The book is nicely written and well illustrated with photographs and maps. The general reader will find this a most rewarding book, but students and teachers will find it indispensable. The result of Birgitta Hoffman's innovative approach is a book full of surprising and controversial conclusions that will appeal to the general reader, as well as those studying or teaching ancient history or archaeology. Dr Birgitta Hoffmann teaches archaeology at the University of Liverpool and is also co-director of the Roman Gask Project (excavating the Gask Ridge frontier system in Perthshire, which predates Hadrian's Wall by half a century).